There’s always something exciting happening at the Land Trust! Ausbon Sargent had a busy and successful year in 2017 as we closed on three new properties and have been working on some exciting projects that are shaping up for 2018. We added the 28-acre Nowell Conservation Easement in Wilmot on February 15, 2017 and, after years in the works, we closed on the 41.98-acre Roby Preserve in East Andover on August 29th. Clark Woods in Bradford, with its recreational opportunities, wildlife habitat and water resources, closed on October 20th adding another 63 acres bringing our total to 11,263 protected acres on 143 properties. We expanded the Wendell Marsh area by adding over 40 acres of protected property in that area on June 22, 2018. This new project required fundraising efforts to defray the costs and make it possible to complete this project and you pitched right in. Thank you for your help. Scroll down to read more about this need. 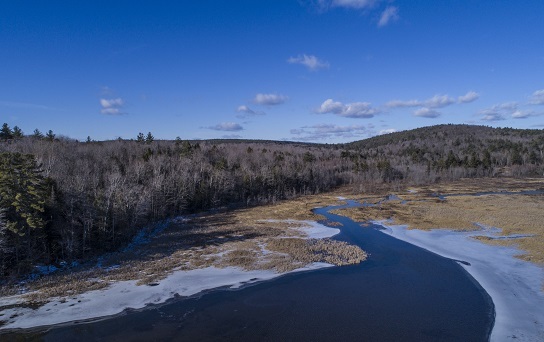 Some of our land projects, such as Wendell Marsh North (2013), the Stoney Brook Conservation Easement (2014) and Wendell Marsh South (2015), were very complex and required that we seek funds from grants and private donors to complete the project. Fund-raising campaigns for easements like these can take months or, in some cases, years to complete.